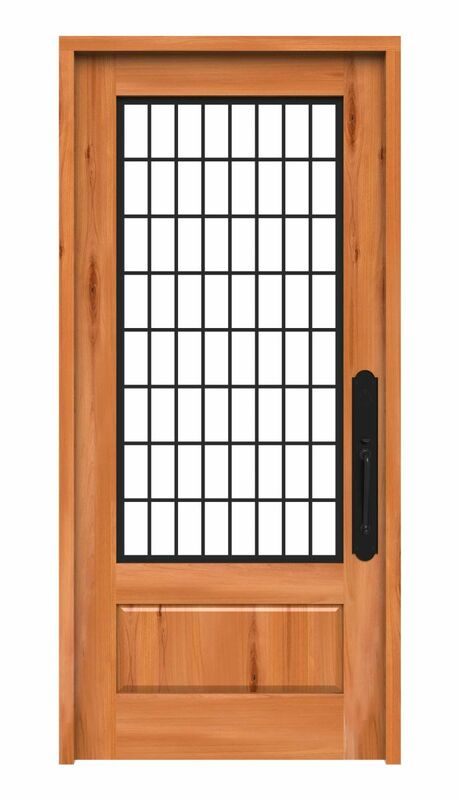 Balanced and geometric, the Hudson Grid Metal Front Door provides clean, straight metal grid lines that perfectly complement today’s contemporary styles. 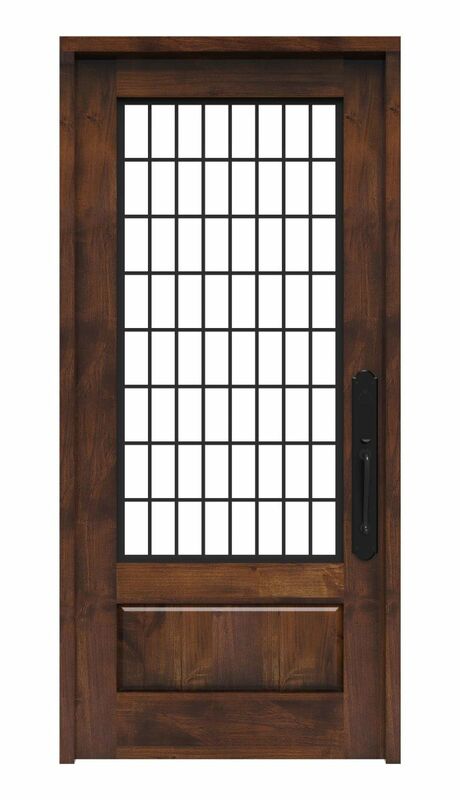 Made from double-paned insulated, hardened, and tempered glass, it provides an abundance of security while still giving your entryway a splash of natural light. 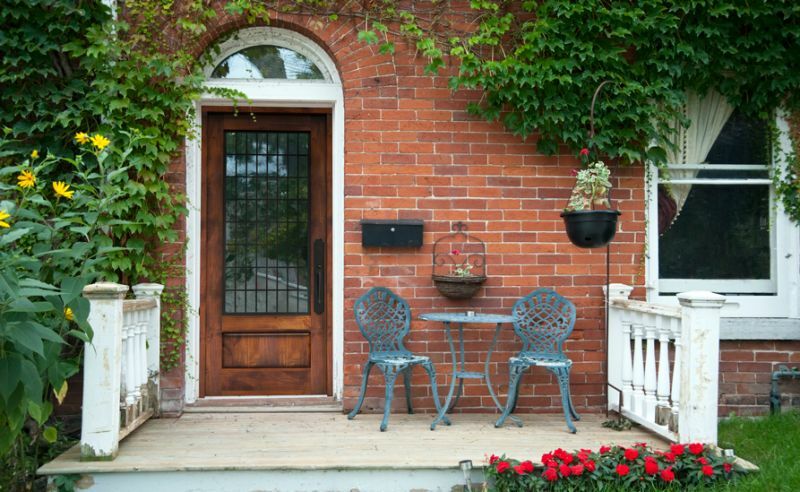 Adding sidelights can help open up the entryway and front room even more. 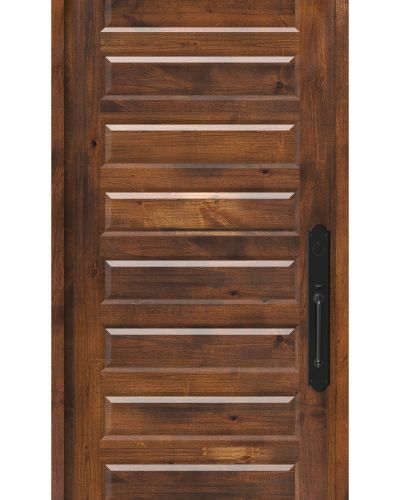 The knotty alder wood pairs beautifully with the metal grate door to exemplify rustic design and carefully-constructed craftsmanship. 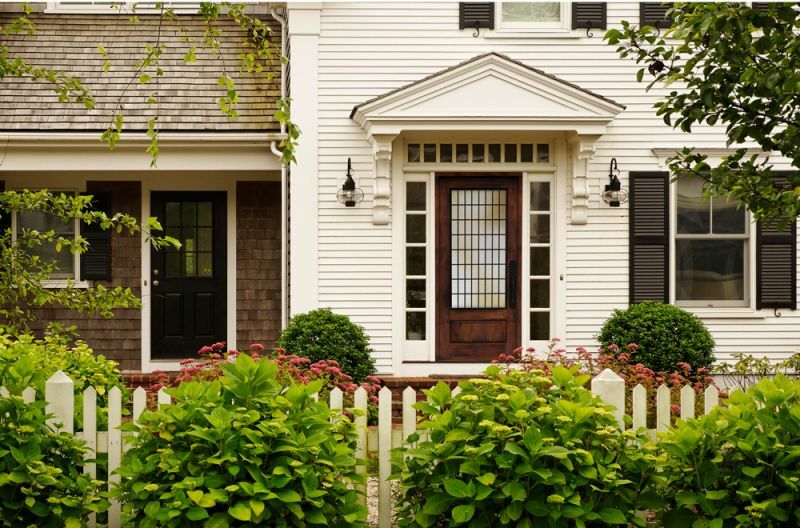 It’s also customizable, allowing you to specify dimensions to suit your home’s size and aesthetic. 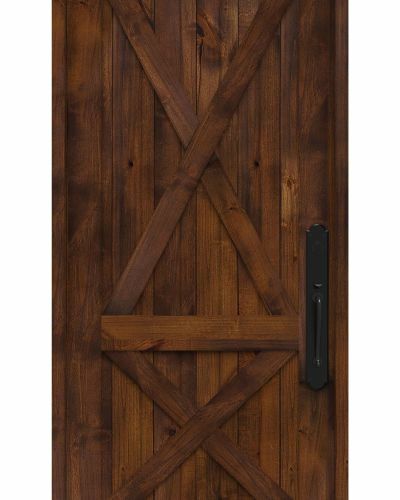 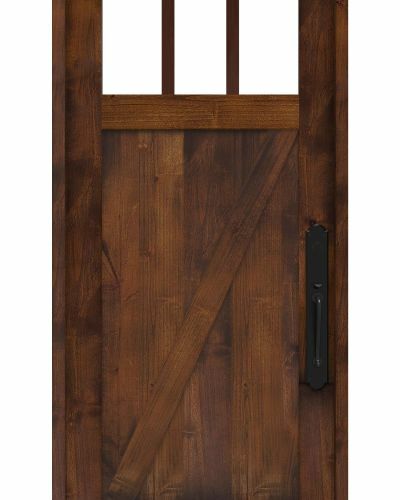 This handmade metal grid door is sure to add a touch of rustic charm to your contemporary home. 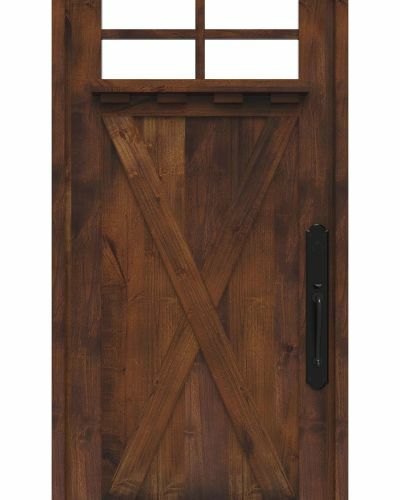 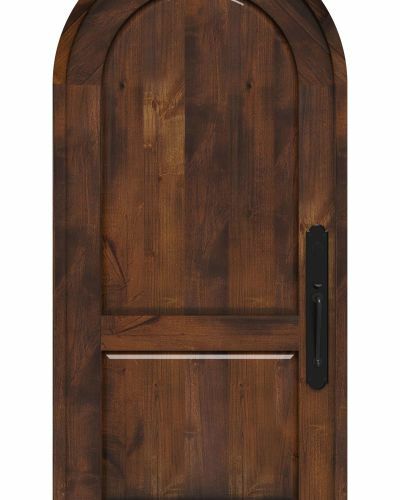 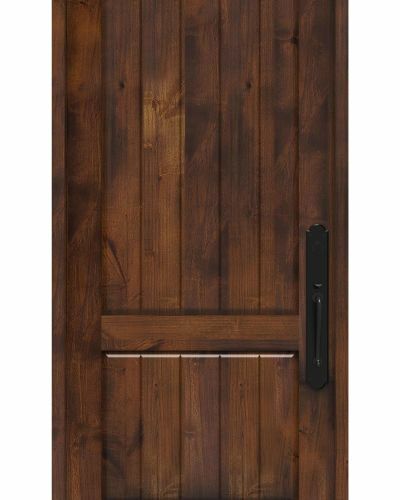 Add character to your home with the Hudson Grid Door or our similar Hudson Diamond Style entry door today!